Pony Tail by Robert McCubbin - 7.250" x 10.000"
Pony Tail framed print by Robert McCubbin. Bring your print to life with hundreds of different frame and mat combinations. Our framed prints are assembled, packaged, and shipped by our expert framing staff and delivered "ready to hang" with pre-attached hanging wire, mounting hooks, and nails. 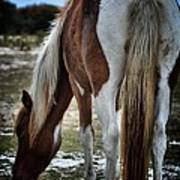 Thank you D Hackett for featuring this inThe American Painted Horse! Your welcome. I love the lighting in this photo. 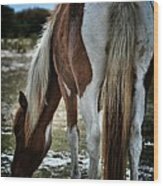 Thank you Cheryl Poland for featuring this in The Equine Artist!